Hello and welcome to the new SOLIDWORKS Composer tutorial series called the SOLIDWORKS Composer Quick Start Guide! This guide is intended to orient new users in SOLIDWORKS Composer and walk them though the basic features of the software. 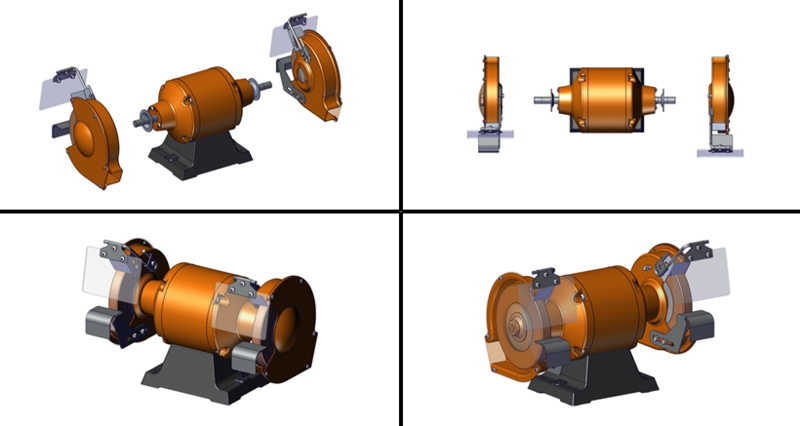 SOLIDWORKS Composer is a technical communication software that uses your existing CAD models to create intuitive and informative deliverables such as animations, interactive PDFs, high-resolution images, and more. This series of videos is intended to orient new users in Composer and teach them how to use its basic functions. The first video is about importing assemblies and creating views. One of the most powerful features of SOLIDWORKS Composer is its compatibility with existing CAD models, whether it is SOLIDWORKS or otherwise. After opening SOLIDWORKS Composer, simply clicking “File” -> “Open” will select your CAD assembly. After a short conversion process, your assembly is viewable and modifiable in SOLIDWORKS Composer. The window the assembly is displayed in is called the “Viewport”. To navigate in the Viewport, you can use three tools: Pan, Zoom, and Rotate. To Pan, hold the control button and the center mouse button. To Zoom, scroll the mouse wheel. To Rotate, hold the center mouse button and move the mouse. Using these tools, you can position your assembly in a variety of ways. Views are a backbone of SOLIDWORKS Composer used in making the majority of deliverables, so getting familiar with them is a must for any SOLIDWORKS Composer user. The two types of most widely used views are the standard view and the camera view. A camera view saves the orientation of the camera while you make changes to your actors whereas a standard view holds the locations of the actors as well as well as the orientation of the camera. From the “Views” tab, you can get access to the “Create View” and “Create Camera View” buttons. Clicking one of these buttons will create a view from the current arrangement of the assembly in the viewport. Once a view has been created, it will appear in a list in the views tab. Double clicking it or dragging it into the viewport will activate it. That’s all for the first episode of the SOLIDWORKS Composer Quick Start Guide to get your feet wet and get started with the software.